Tirol-Choco launched "Ripe Gelato (食べゴロっとジェラート, Tabe Gorotto Gelato)" on May 15, 2017. 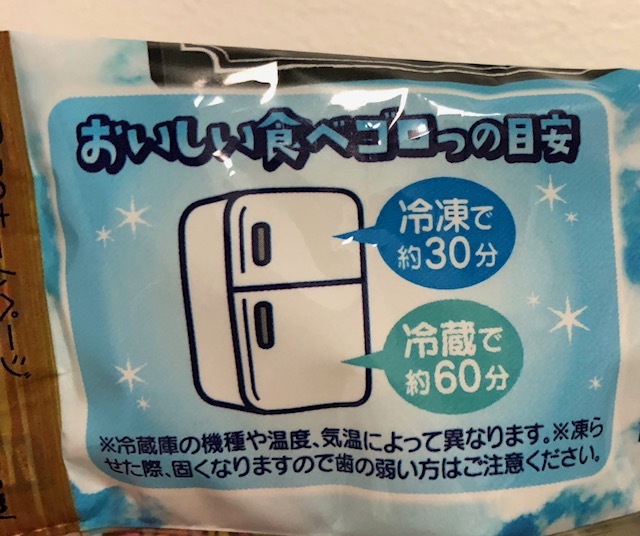 On the back, there's a guide how long it'll take to get them ready to eat. To chill 30 minutes in freezer or 60 minutes in refrigerator. There're 3 Milk, 2 Mixed Berry and 2 Pistachio. 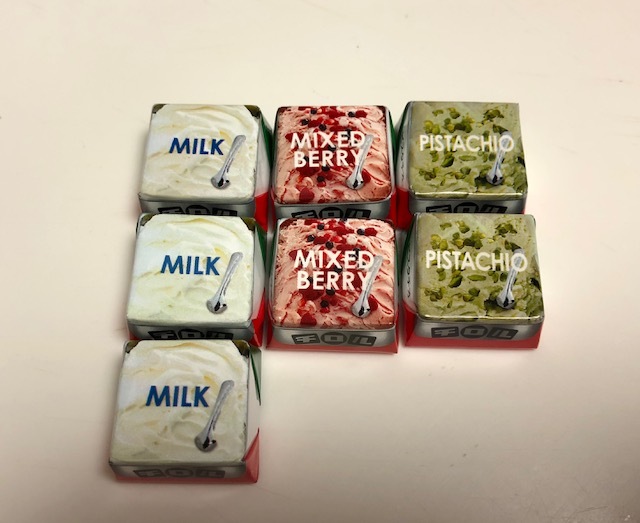 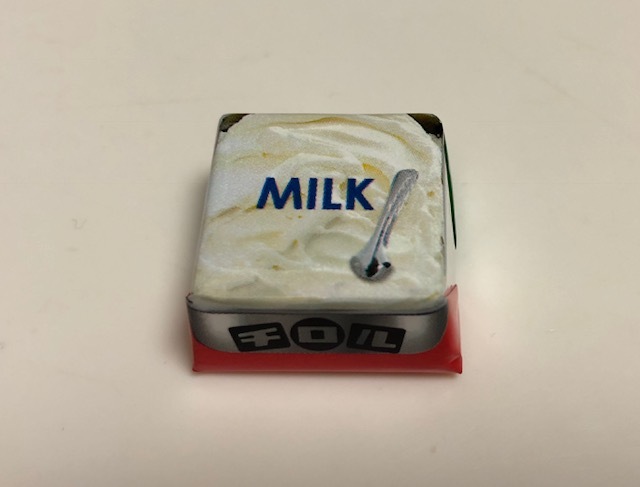 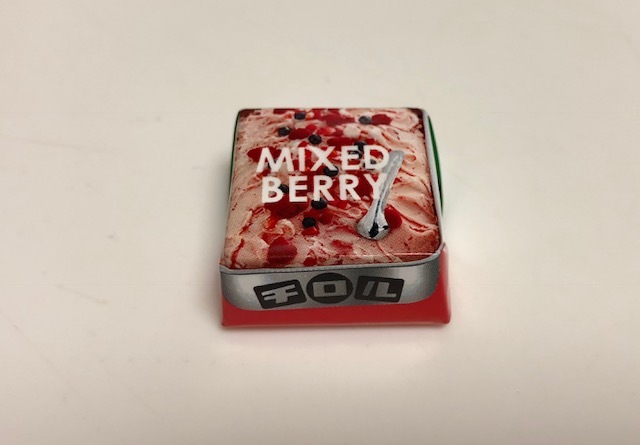 On the back, each flavor had characters of the flavor; Milk had a milk tin, Mixed Berry had a strawberry and Pistachio had a pistachio with shell. 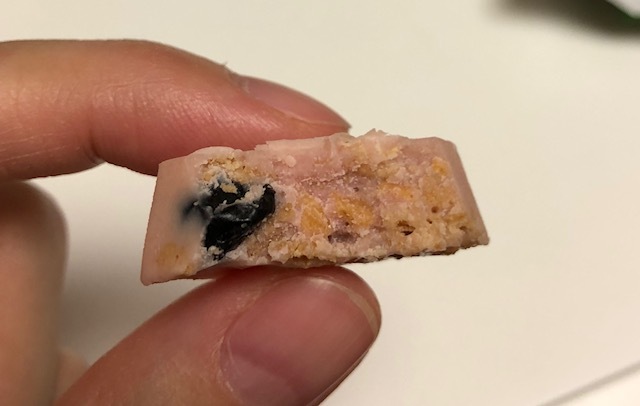 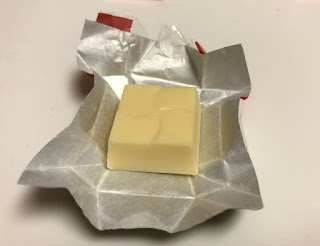 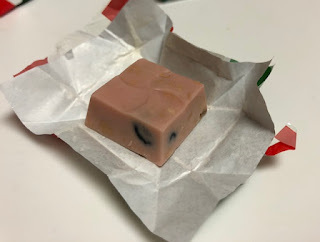 The filling in the middle was chewy, sticky and it felt like plastic that never melted away. 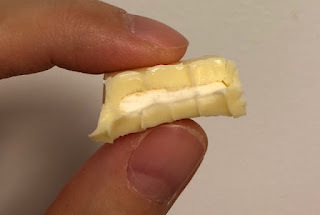 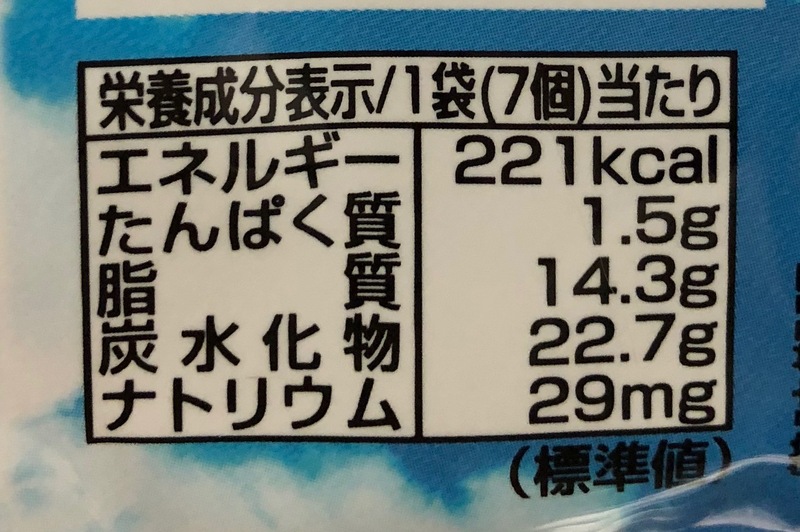 When it's chilled, the filling in the center became crispy and crunchy, and it's tasted much better than when it's room temperature. The chocolate was sweet-sour, and there're much larger pieces of dried berries than I thought with crispy pieces like cereals. 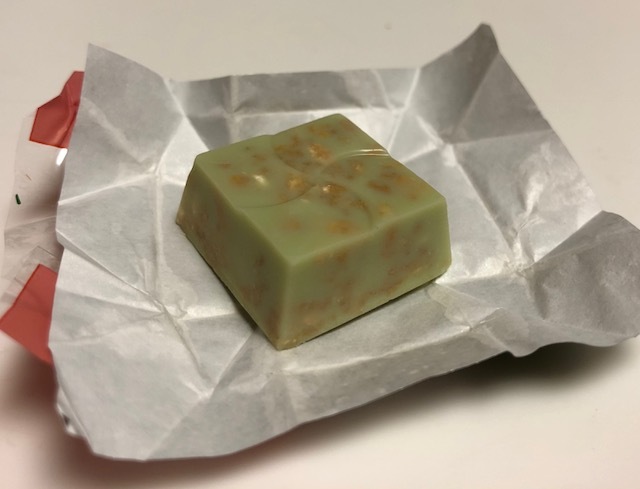 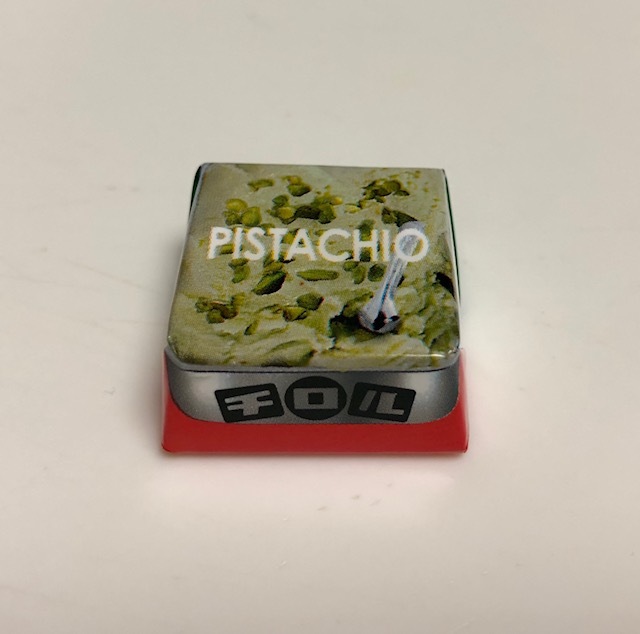 Pistachio flavored chocolate, but the color looked like matcha. 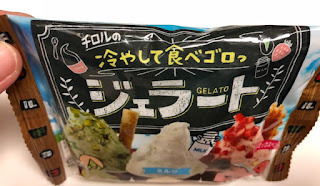 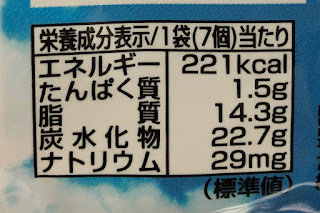 The nuts were harder and fragrant than pistachio, and when I took look on the ingredients, there're cashew nuts. 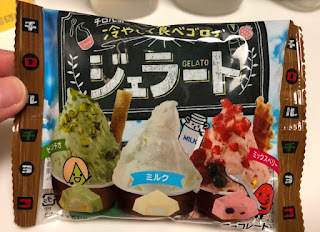 The chocolate had pistachio flavor and it's from pistachio paste. 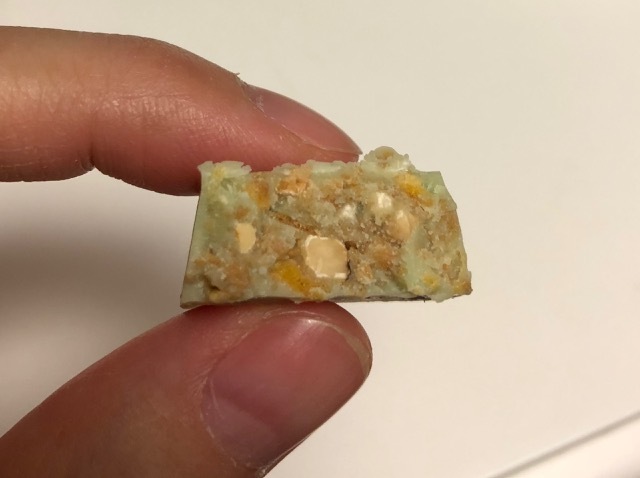 This one also had crispy pieces like cereals. 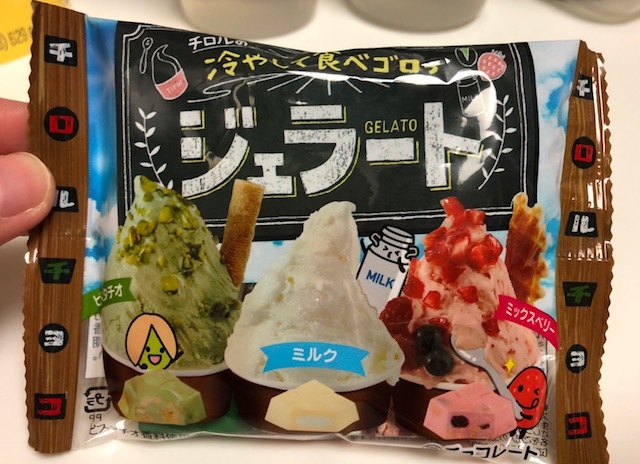 Both Mixed Berry and Pistachio didn't change much when it's cooled unlike Milk.